Comments: This is a dome shaped arborvitae that produces dense evergreen foliage that has overtones of yellow or gold. The new foliage is amber-orange when it first emerges. 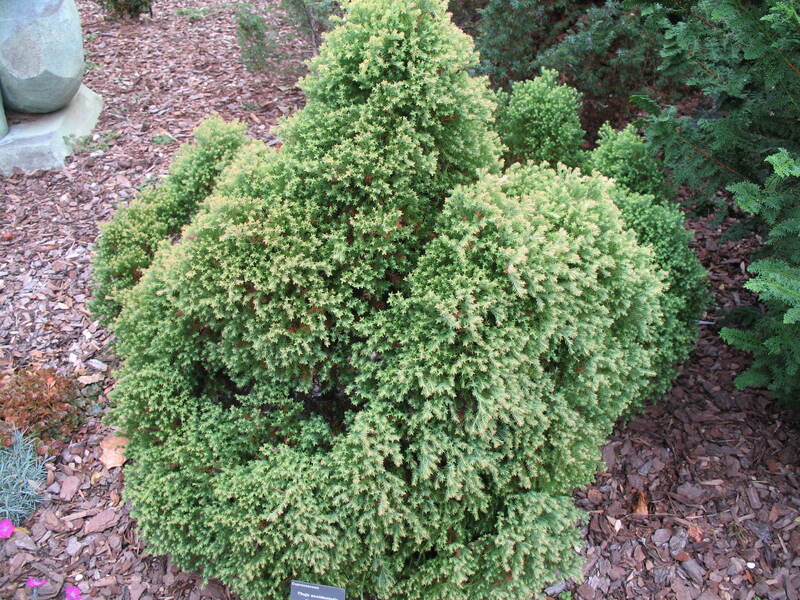 This plant has characteristics somewhat similar to several of the species of juniper. Provide full sunlight and a well drained soil.